Will it be a boy or a girl? What are you thoughts? Preheat oven to Gas 4,180°C, 350°F and line 3-4 baking trays with non-stick baking paper. Lightly cream together the butter and sugar together. Add the egg, lemon rind, flour and combine well together. Cover biscuit dough and place in freezer for about 10 minutes to chill. Roll out the dough on a floured surface until it is about 5mm thick. Use cutters to cut out about 12 prams. Place apart on the baking sheets. Bake in preheated oven for about 8-10 minutes, until the cookies are pale golden. Allow to cool completely on a cooling tray before icing. Place the sifted icing sugar into a bowl add about 2 tablespoons of lemon juice and mix together – Add half teaspoons of lemon juice very gradually until you have a stiff icing (If it suddenly becomes too runny add a little more icing sugar). Half the mixture into two bowls, and add a drop of pink food colouring to one bowl & a drop of blue to the other. Mix well to combine the colour. Spoon into separate piping bags (look out for disposable piping bags – they are really easy to use). Take the fondant icing and roll out thinly on a flat surface – scatter with sifted icing sugar to prevent sticking. Cut out using the pram cutter – keep rolling and reusing the icing until you have 12 prams. Take each biscuit and brush with a very small amount of honey or jam and place the fondant icing pram onto the biscuit. 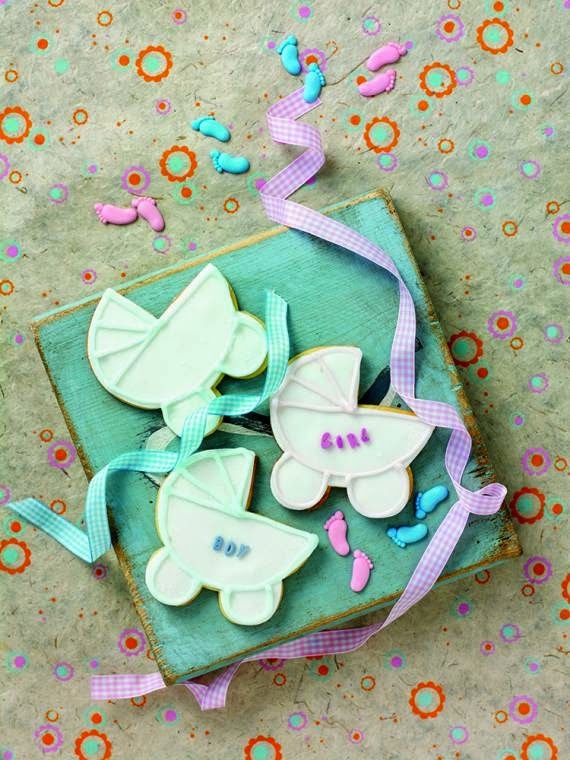 Take the piping bag and carefully outline the pram and make or write any design you fancy. Repeat using all the biscuits. Allow the icing to set before packaging or eating! This is a guest post from the happy egg co. No Payment was received..
"What I Wore: Days Out"
bet there is tons of excitement – sure is here and the future tike isn't our royal! I think these are very cute !! I don't think so!?! none yet..
Oh, these are so adorable! Perfect for the new royal baby. Maybe I'll make some for my little girl to have a fun tea party with her dolls, haha.